This is what Sharing the Science is all about! We love giving you current science news drawn from the latest science articles published in peer-reviewed biomedical journals. These brief summaries are written by a PhD scientist, trained to analyze research on molecular, systems, and behavioral levels. The latest science articles reviewed all pertain to natural health topics - from nutrition and herbs, to lifestyle and meditation. Each synopsis reviews one biomedical journal article. If you are looking for a compilation of the current science news on a specific health topic, please visit our Natural Health Articles. 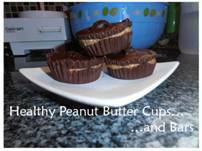 If you are looking for tips on food as it relates to your health, please visit our Natural Health Food page. And, if you're looking for a way to stay on top of all of the current science news, and natural health articles on the site, and some interesting information on other sites, be sure to visit our Natural Health Blog. Participate in sharing the science by visiting our Current Science News Forum where visitors review and discuss the latest science news on natural health topics. December 1, 2012 - November's Current Science News 2012 - A round-up of some of the hottest research on natural health topics from November 2012. November 6, 2012 - The Effects of Home Pesticides on Children - Researchers evaluated whether the use of home pesticides is linked with respiratory symptoms in children, like asthma, chronic cough, and wheezing. October 18, 2012 - The Association Between Teenage Mental Health and B-Vitamins - Teenage mental health is a hot topic, not only because of horrifying headlines, but also because 75% of adult mental illness will begin before a person reaches 24 years old. Find out what role nutrition plays. October 5, 2012 - The Influenza Vaccine Controversy - The 2009/2010 flu season featured a double-vaccine schedule for both the seasonal flu and the H1N1 virus, which were routinely recommended for pregnant women. In retrospect, that was a deadly recommendation. August 31, 2012 - Varicella Vaccine Controversy: Are Chickenpox Good for the Herd? - Chickenpox may actually help prevent outbreaks of a more serious disease. August 23, 2012 - Increase Energy Naturally - This simple sugar may offer a much needed answer for those suffering from Fibromyalgia and/or Chronic Fatigue Syndrome. Learn about the latest promising research. July 23, 2012 - How to Increase Testosterone Naturally with Tongkat Ali - Researchers looked at an Asian aphrodisiac as a potential way to increase testosterone naturally. Is this herb the answer to a man's prayers? June 23, 2012 - Does an Ionic Detoxification Foot Spa Really Work? - Ionic Detoxification Foot Baths are the stuff of late-night infomercials and health store crazes. The real money question is whether they work. May 10, 2012 - Good Fat vs. Bad Fat: Changing Our Definitions We've all heard what the advisory committees recommend: eat less saturated fat to prevent heart disease. Do you know what the science actually says about saturated fat and heart disease? The discrepancy between the public advice and science may surprise you. April 25, 2012 - What Causes Autism? Is it our Food Supply? - Researchers looked at the role of high fructose corn syrup in autism. The relationship between nutrition, environmental toxins, and genetics may surprise you. March 24, 2012 - Natural Remedy for Menstrual Cramps - Researchers studied whether specific essential oils could relieve menstrual pain in this randomized, double-blind, clinical study. Time to ditch the Midol, baby! January 10, 2012 - Grass Fed Beef Nutrition Information versus Grain Fed Beef - A 2010 review of the current science on grass-fed versus grain-fed beef shows that grass fed beef has improved saturated fat, polyunsaturated fat, and antioxidant profiles. December 9, 2011 - A Little Berry with Big Impacts on Metabolic Disorder - Researcher reviewed the way in which this long-known natural remedy regulates weight gain, modulates blood glucose and insulin levels, and lowers cholesterol. December 2, 2011 - The role of fatty acids during pregnancy on asthma risk - Researchers studied how fatty acids during pregnancy may affect the risk of asthma in children 5 years after birth. 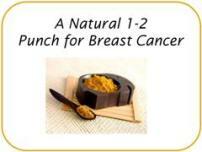 October 21, 2011 - Natural Health Products that Offer a 1-2 Punch to Breast Cancer - Researchers show that the multiplication of breast cancer cells decreases by 50% when two common natural health products are used. October 3, 2011 - A New Natural Cancer Treatment on the Horizon - Researchers published a study in July, 2011 that shows potential for a common curry spice in the fight against brain cancer. 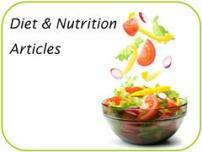 September 30, 2011 - Nutrition Courses that Work - Researchers show that eating healthy can begin in the classroom. Find out how they got college students to make healthier food choices. September 17, 2011 - What Causes Autism? - Scientists postulate that the increased incidence of autism spectrum disorders may be correlated with the increased use of one particular class of prescriptions by expectant mothers. September 15, 2011 - High cholesterol? Overweight? Try eating this. - Researchers found that overweight teenage girls showed improved lipid profiles by eating a little bit of this simple food each day. September 6, 2011 - Natural Weight Loss May Mean Re-Evaluating Close Relationships - The latest science news shows those who perceive their closest relationships negatively are also more likely to gain weight. September 1, 2011 - Do Vaccines Cause Autism? More Questions Unanswered. - Recently law researchers studied the cases in which victims of vaccines have been awarded settlements. A proportionally high number of those victims had autism-like symptoms. August 31, 2011 - One compound in the noni plant is really "Dam" important - Damnacanthal, a compound isolated from the noni plant is a heavy hitter against colorectal cancer cells. 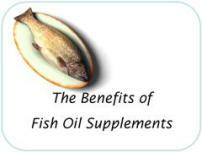 August 27, 2011 - Vitamin Supplements May Reduce the Risk of Skin Cancer... Or Not. - The latest science research on specific vitamin supplements and skin cancer risk suggests some just might be worth taking. All (polyunsaturated) fats are not created equal - The latest research in the Journal of Nutritional Biochemistry suggests that high-fat diets that rely on fish oil omega-3 fats lead to reduced weight and fat mass compared to normal diets, or high-fat diets based on soy omega-6 fats. Go to our Natural Health Blog to see everything new on the site, including Current Science News Go to our Natural Health Articles to see the compiled research on natural health topics.